For our new Pinner range, we decided to take a different approach to the design process. Working in conjunction with our in-store design consultants, we focused on the feedback of our customers many of whom requested traditional painted furniture but without the shabby-chic look. 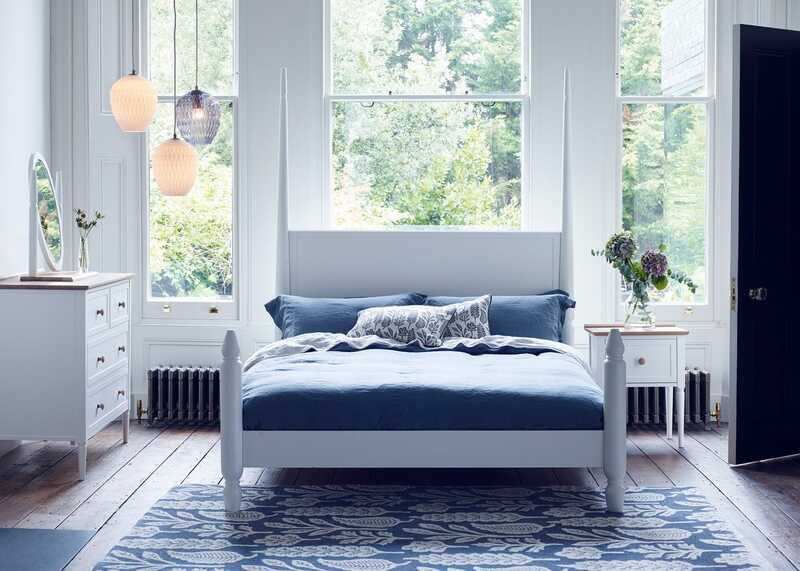 The result is this beautiful arts and crafts inspired bed made from aged limed oak and finished in a contemporary palette. Lovely, stylish bed. First one arrived damaged, which took the shine off the experience. Hoping the replacement will love up to expectation. We love this product. It's well made and fits the style of the bedroom perfectly. We wish the side tables in the range were nicer to go with it.